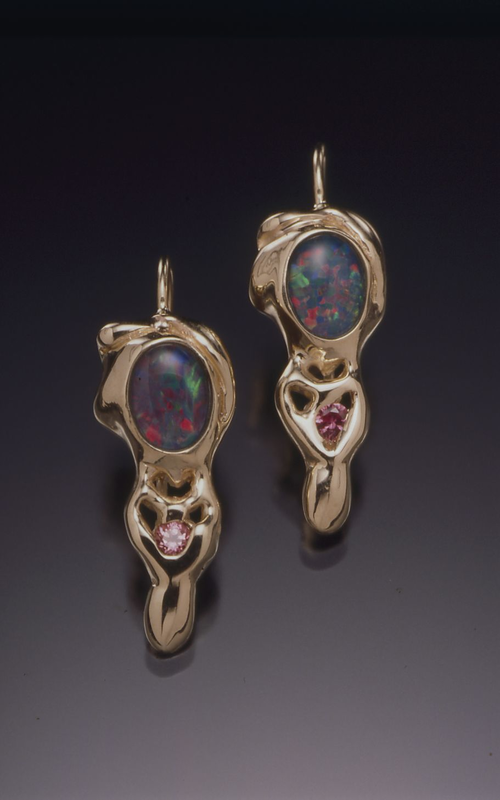 Joann Lustig is a fine jewelry designer based in Sebastopol, California. She created Joann Lustig Fine Jewelry in 1980, and since then, has become a well-respected name in the world of fine jewelry. Joann Lustig creates her jewelry pieces out of high quality gold, creating each piece by hand using intricate details and ethereal swirls of texture and layering. The result is a series of jewelry that appears to be made from melted metal or liquid gold, creating a truly unique appearance that is sure to turn heads every time you wear a Joann Lustig piece. Many pieces are also accented by colorful gemstones or crystals, adding even more interest to the overall look. Here at Sugarloaf Craft Festivals, we’re proud to carry Joann Lustig’s latest rings, necklaces, earrings and other fine jewelry creations.